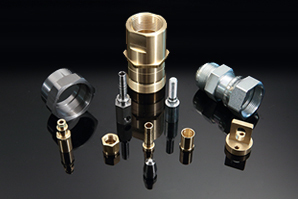 Global Precision Parts, Inc. uses multi-spindle screw machining to accommodate high-volume parts. We perform a variety of cutting operations with our Acme Gridley multi-spindle screw machines, and with an on-site tooling department, we’re equipped with the necessary tools perform the most complete cutting specifications. 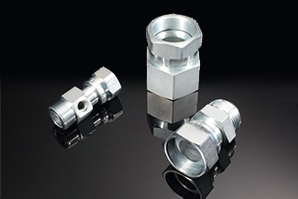 Global Precision Parts, Inc. uses CNC Machining to produce standard and custom parts. We can machine even the most complex parts with our CNC turning and vertical centers, and our “lights out” capabilities allow us to offer tighter turn around times to our customers. Provide the specifications, and leave the rest to us. Global Precision Parts, Inc. uses hydromat machines to accommodate larger scale orders with higher quantities. 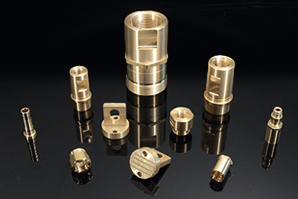 We can machine large quantities of complex parts in a variety of metals such as steel, aluminum, stainless steel, and brass. Global Precision Parts, Inc. uses the innovative EUROtech Multi-tasking Turning Center. The EUROtech is a perfect blend of world-class technology and old-fashioned craftsmanship, and can easily operate unattended. 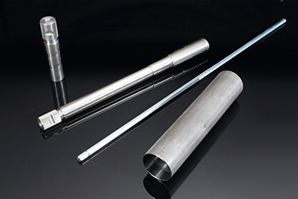 Global Precision Parts, Inc. was established in 2006, however they have been redefining global precision manufacturing for more than 25 years. Our dedication to manufacturing and delivering the highest quality precision parts on the market is unmatched in the industry. We currently have three manufacturing facilities in the US, totaling more than 155,000 square feet, and operate more than 200 state of the art production machines. In addition to our domestic facilities, we also work closely with our Asian joint ventures to provide unmatched quality and volume capacity that only a multi-site company can offer. Check out our Global Precision Parts Inc Digital Brochure. The Ottoville, Ohio facility was acquired in 1993, as the first manufacturing company of Global Precision Parts, Inc. The Wabash, Indiana facility was acquired in 2000. The East Liberty, Ohio facility was acquired in 2006. In addition to its three locations, Global Precision Parts, Inc. also works closely with joint ventures in Asia. Manufacturing Marvels®, a FOX Business channel series, highlights the many reasons that Global Precision Parts, Inc. is the industry leader in quality and precision. Manufacturing Marvels® airs on FOX Business channel, and isdesigned to promote all aspects of Manufacturing in Americafrom American-made products to manufacturing jobs in America!